To welcome our new 64-page, blank, 100% recycled notebooks, here are 64 creative journal prompts to fill a notebook and learn more about yourself in the process. Documenting your thoughts, dreams, and day-to-day happenings is a surefire way to notice the good in your life. 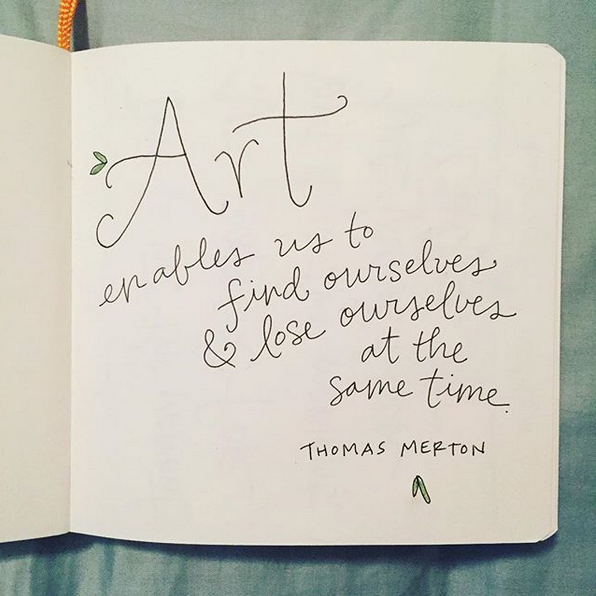 Plus, reading back on old notebooks, journals, or diaries helps you see just how far you’ve come! 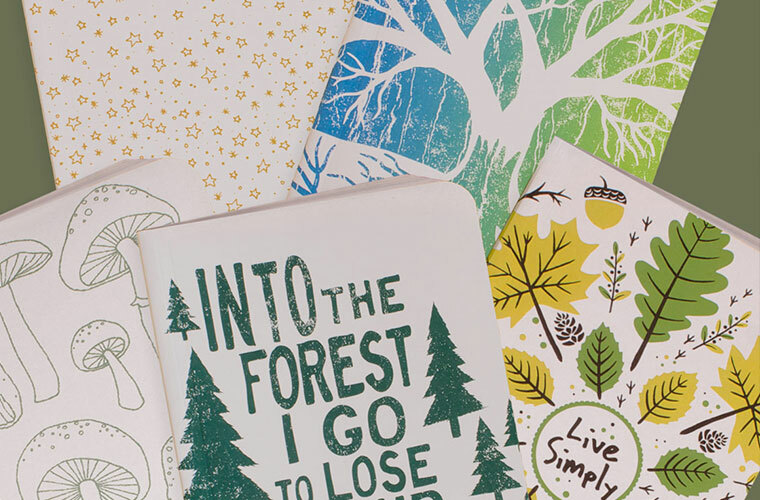 Pick & choose from these creative journal prompts and let your creativity flow! Write out mixtape playlists for different people or occasions. Make a list of movies you want to see, books you want to read, and/or tv shows you want to watch. Write out your intentions for the upcoming season. Start a 100 Day Project. Keep a daily diary that includes Did, Saw, Heard, and Drawn. 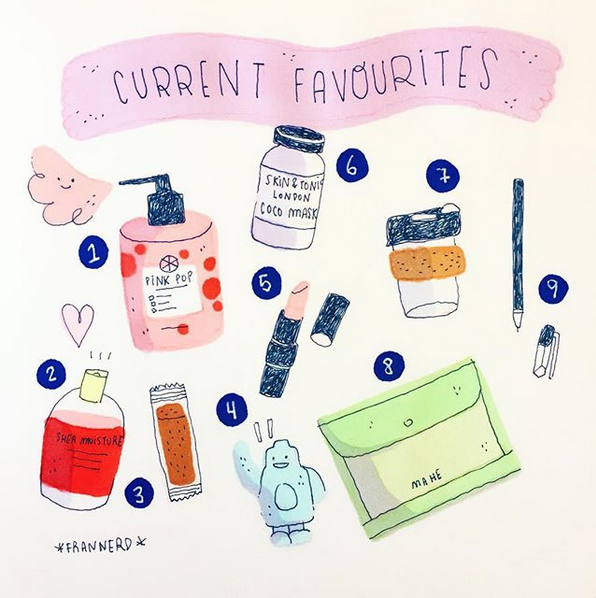 List your current top 5 favorite things. Draw what’s in front of you on your desk or table. Try a blind contour drawing. Look through old magazines and make a collage. Make a list of things you love. Create a moodboard of words, quotes, and collaged images of the person you want to become. 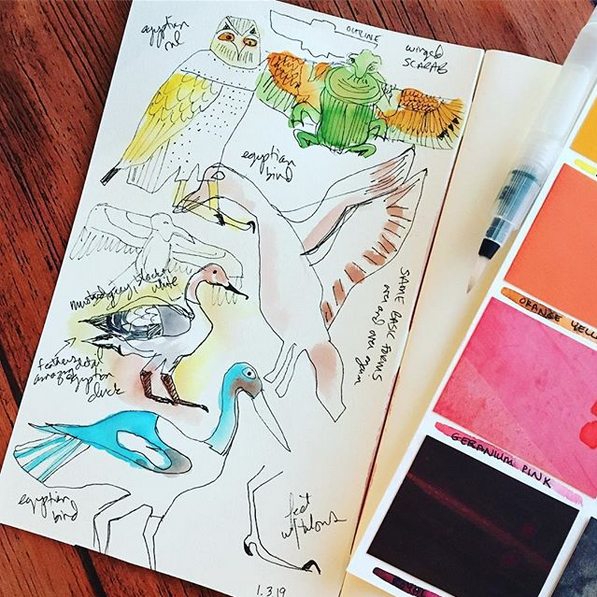 Gather every marker, colored pencil, crayon, and colored pen you own and test out the colors. List what you’re grateful for. 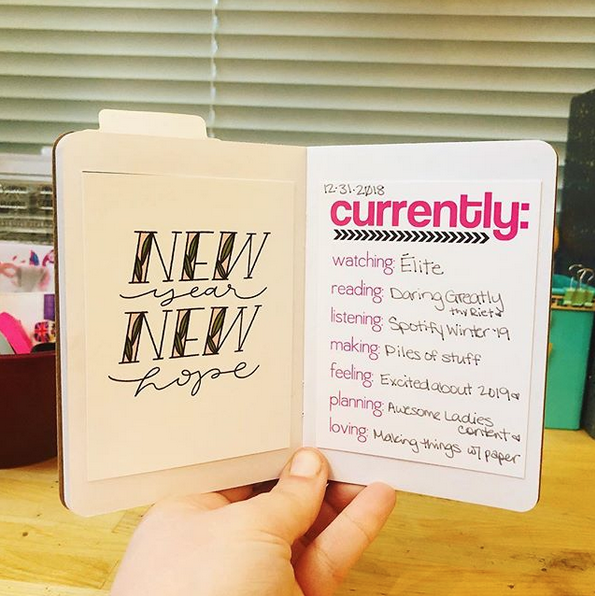 Write out your goals for the year. Paste in a found photograph or picture of people from a magazine and write a fictional story about the people in the photo. Paste in ephemera from your daily life: ticket stubs, cool packaging, receipts, stickers. 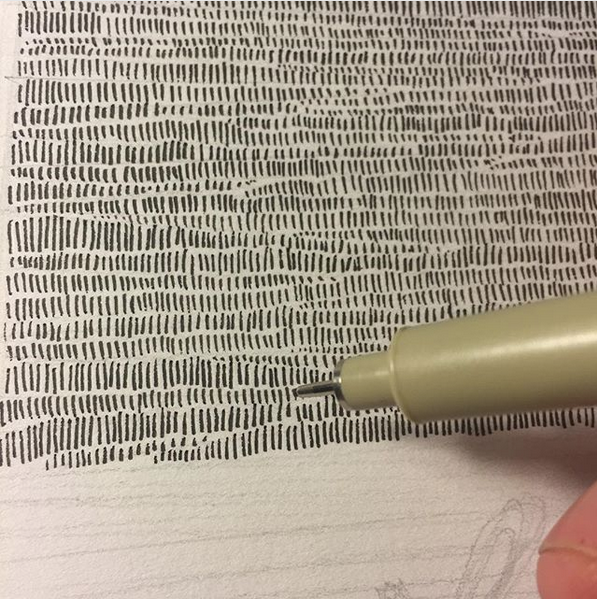 Meditate by slowing down and drawing hash marks across an entire page. Draw a mind map of an idea you have. Paste in photos from a recent trip and write captions to all of them. 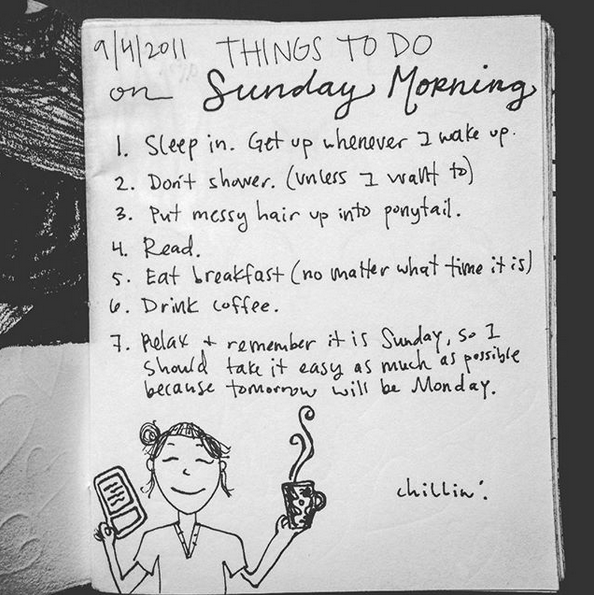 Write down a list of little things that make you happy, calm, or comfortable. Press flowers and leaves between the pages. When dry, tape them in. Write a letter to your 10-year-old self. 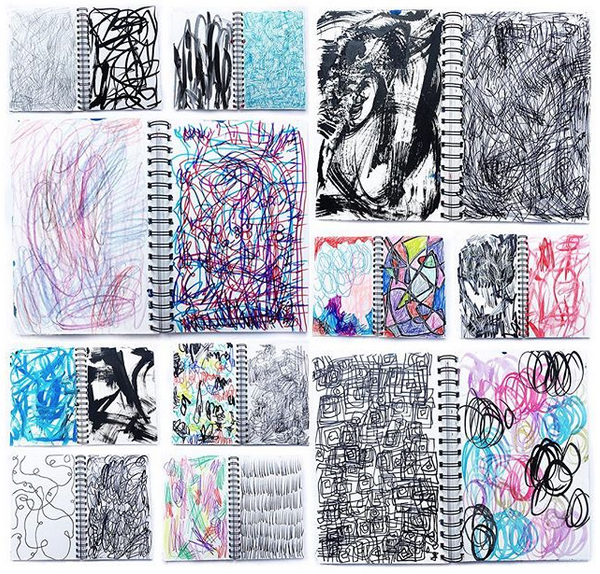 Fill some pages with scribbles! Write a stream of consciousness. 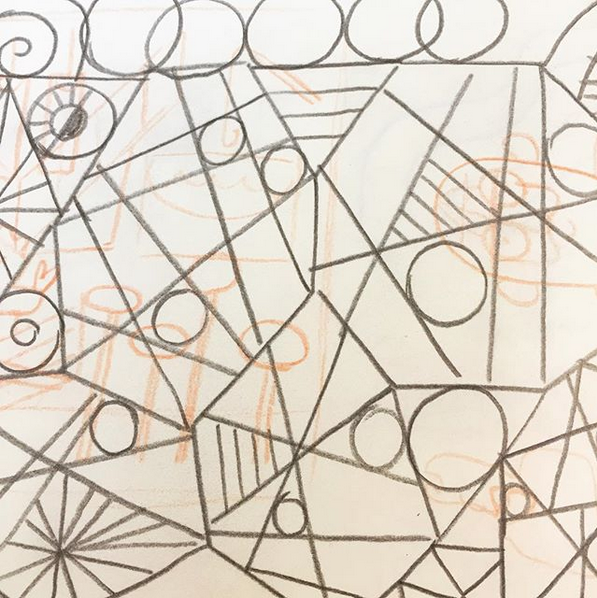 Sketch out the plans for something you’d like to build or make. 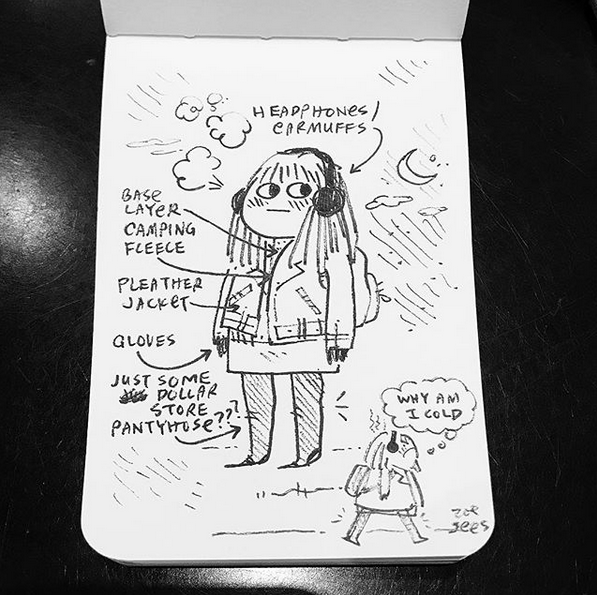 Jot down things you overhear people say throughout the day. Make a list of names you like. Make a daily to-do list with checkboxes. Write a letter to someone you love, saying all the things you’ve been meaning to say for years. Make a list of all the places you’d love to travel to. 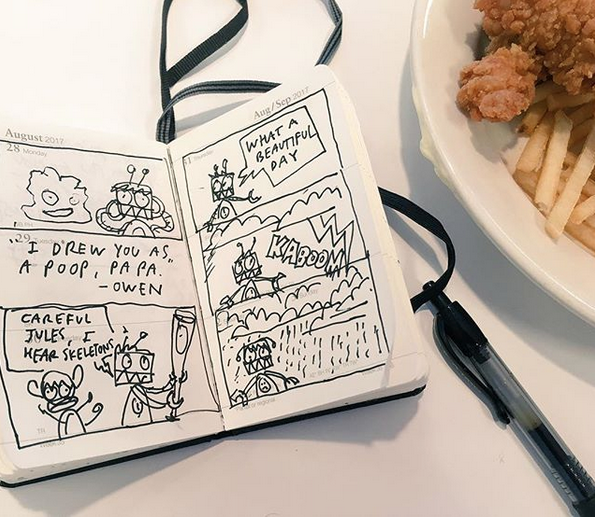 Draw a 4-panel comic of something that happened to you recently. Start a year-long project of answering 365 questions: 1 question for every day of the year. Write a poem. It doesn’t have to rhyme. 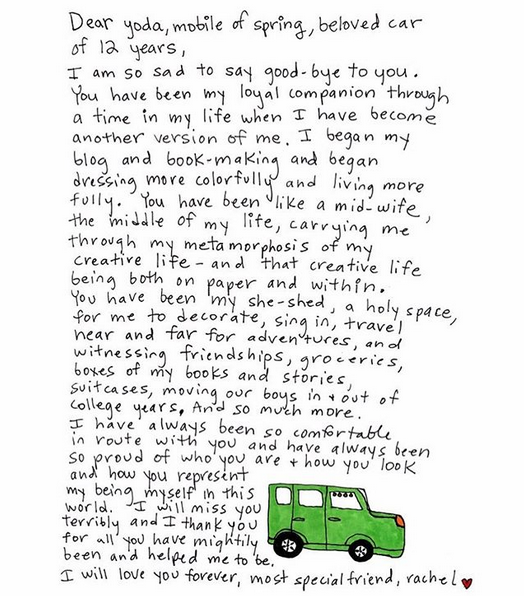 Write a good-bye letter to some one, or some thing. List the movies and shows you’re happy to watch again and again. Draw from life. Draw from your imagination. Write a fake newsletter to someone you haven’t seen in years, all about your accomplishments and goings-on since you last saw them. Write down a recipe you always make by heart. 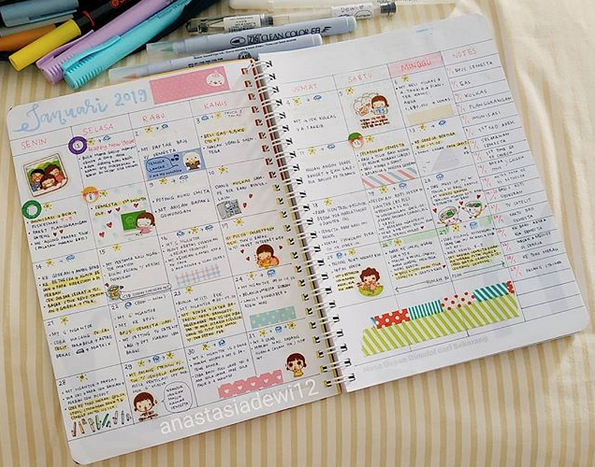 Draw your own calendar on a 2-page spread and use the notebook as a planner. 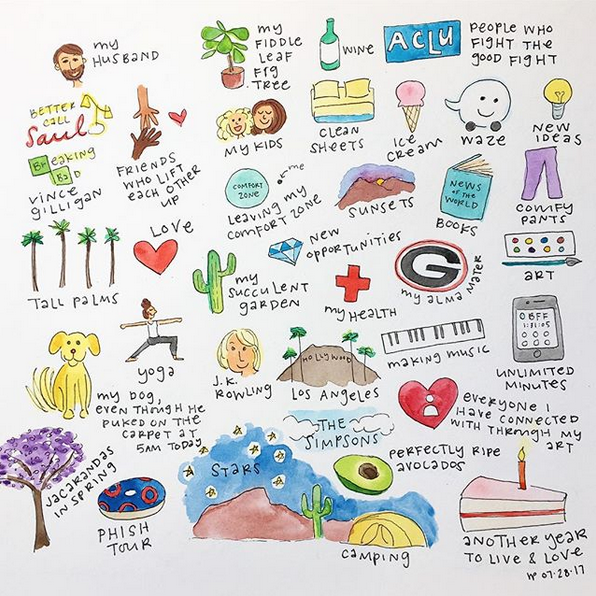 Get mindful by listing something you hear, something you feel, taste, smell, and see. 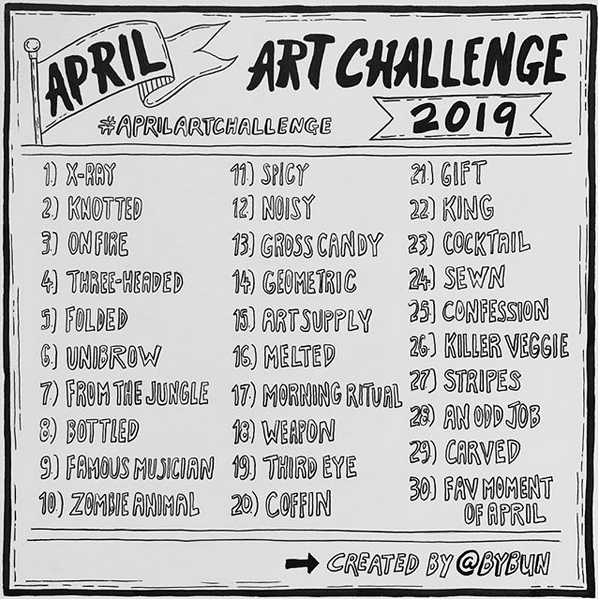 Draw along with an art challenge. Plan out your outfits for the entire week. Research and make a list of free or low-cost things in your city/area you’d like to do. Doodle without stopping for 5 minutes. 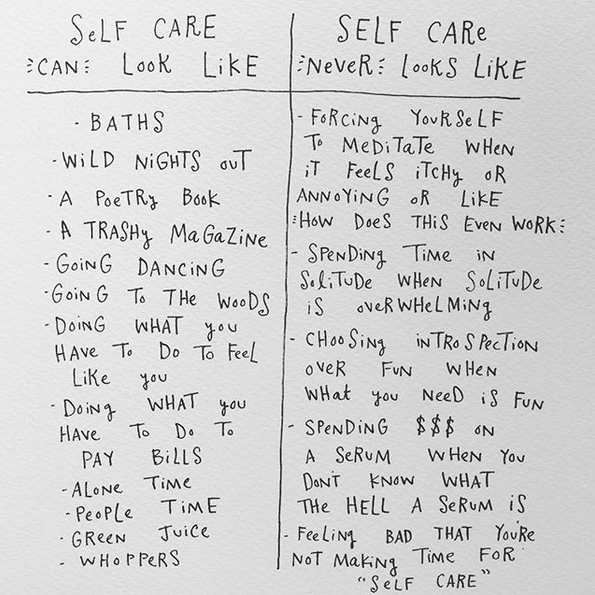 Make a list of things you’re good at. Watch a TED Talk and take notes. Pay attention to things that make you laugh out loud during the day. 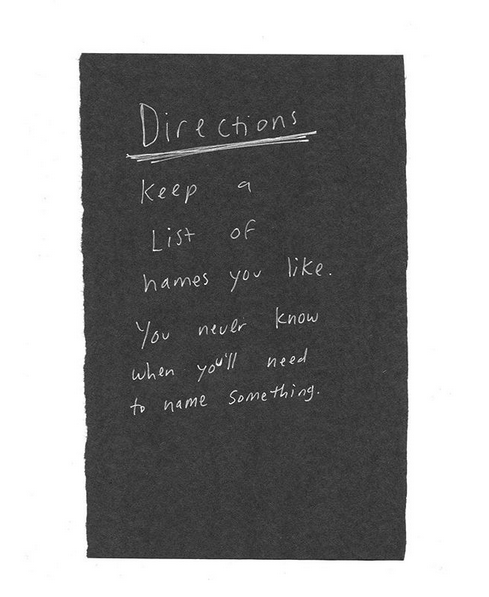 Keep a list. Answer these 30 questions for self discovery. Plan out your future garden, home, or workspace. 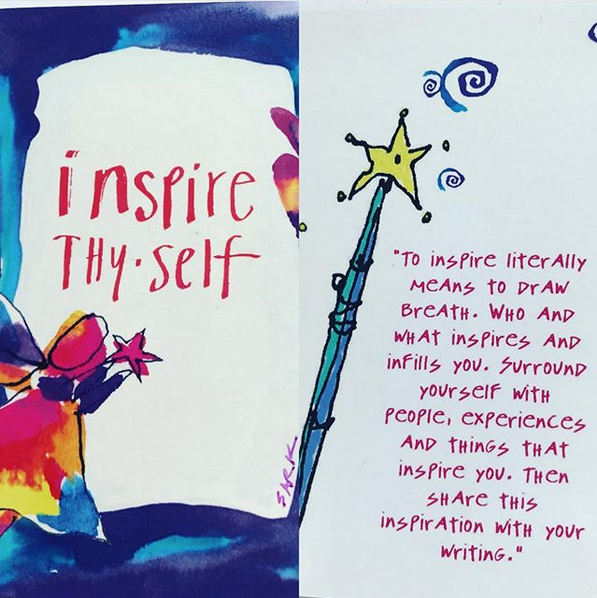 Make a list of things that inspire you. Keep lists of gift ideas for the people in your life. Write down your dreams/nightmares right after you wake up. Pick a subject and draw that thing over and over again. Use your notebook to take study notes for a class or online course. Document what a typical day looks like for you. Don’t forget to include the date! 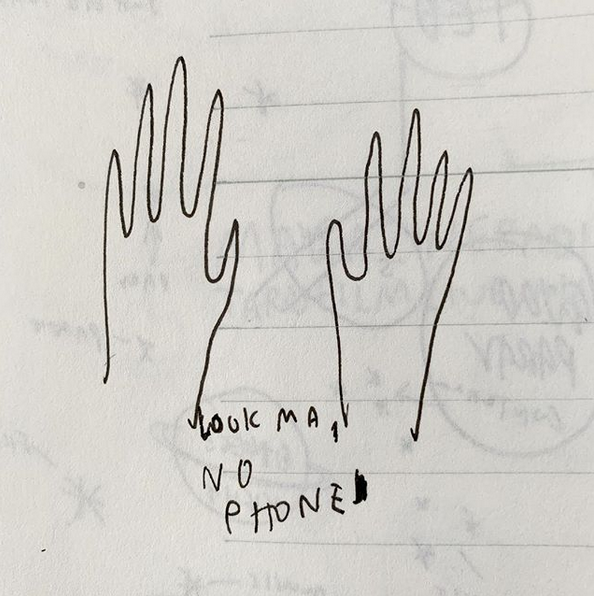 When you feel the urge to pick up your phone, open your notebook instead and describe what you were going to do on your phone. 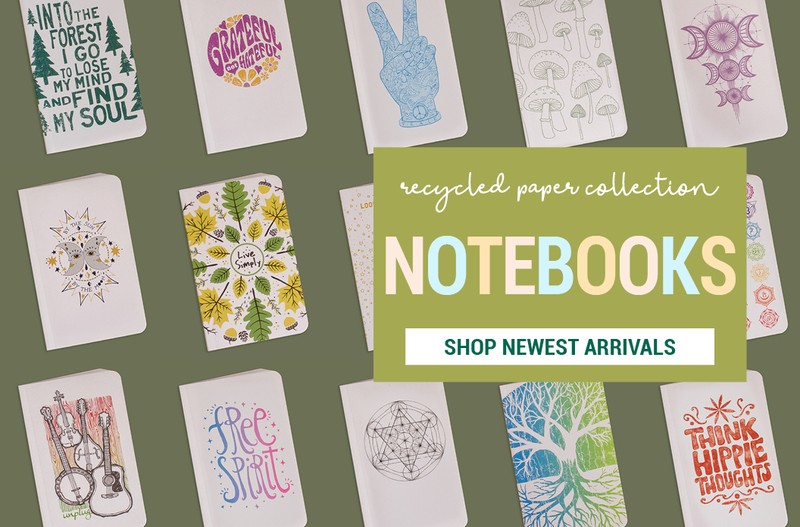 Our brand-new line of 100% recycled paper products is now available! Shop blank notebooks, greeting cards, and art prints. All made in the USA!